Randy started Black Rock Bicycles in 2004 to provide better bikes for friends and new customers in the Reno/Tahoe area. Curtis has been working on bicycles professionally since 1998. Raced all bikes from XC to DH and loves to work on bikes. Steve has owned bike companies and worked with/around bikes since the 1980's. 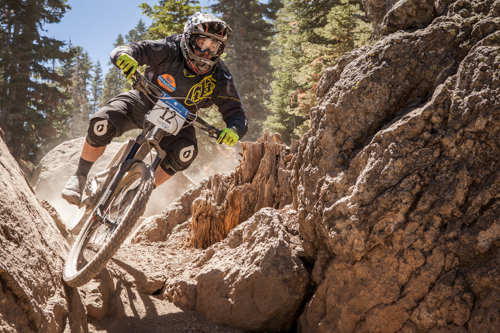 BLACK ROCK BICYCLES is the leading Bicycle Shop in downhill and enduro bikes in the Reno/Tahoe area since 2004. We can answer any questions you have on the proper bicycle, size or needed equipment to fit your needs. Our staff is always testing and riding the latest and greatest! With over 40 years of experience, our staff is well qualified to diagnose and fix any problems with your bicycle. PLEASE COME IN, LOOK AROUND, ASK QUESTIONS. SEE YOU SOON!